In times when popular Netfix series such as Marvel’s Iron Fist and Luke Cage get canceled, a beacon of light appears. 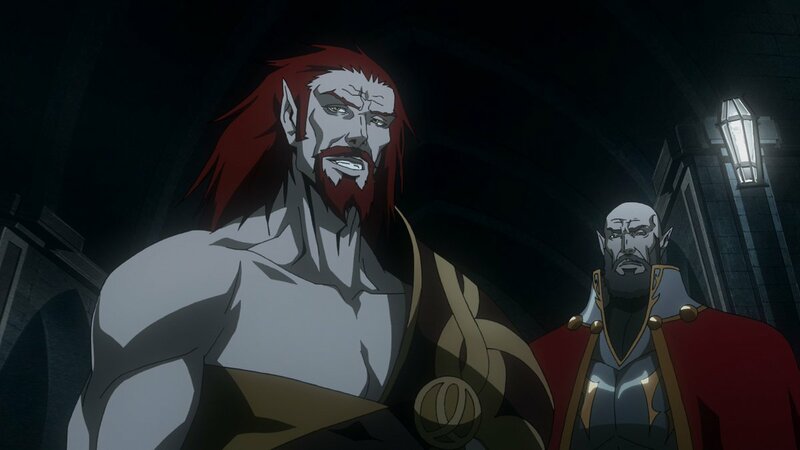 Castlevania, an animated series based on the games’ universe with the same name has been renewed for a third- and to this point longest- season. While the first season only had 4 episodes, the second season premiered just a week ago- on October 26 – and contains 8 episodes. The upcoming third season will add two more episodes to the count, into making it ten. Castlevania is also exclusive on Netflix. Have you seen the series or played the games? What did you think of it so far? Follow Castlevania on Twitter for latest updates. This entry was posted in Movies and TV and tagged castlevania, Netflix, serier, series, show, tv. Bookmark the permalink.